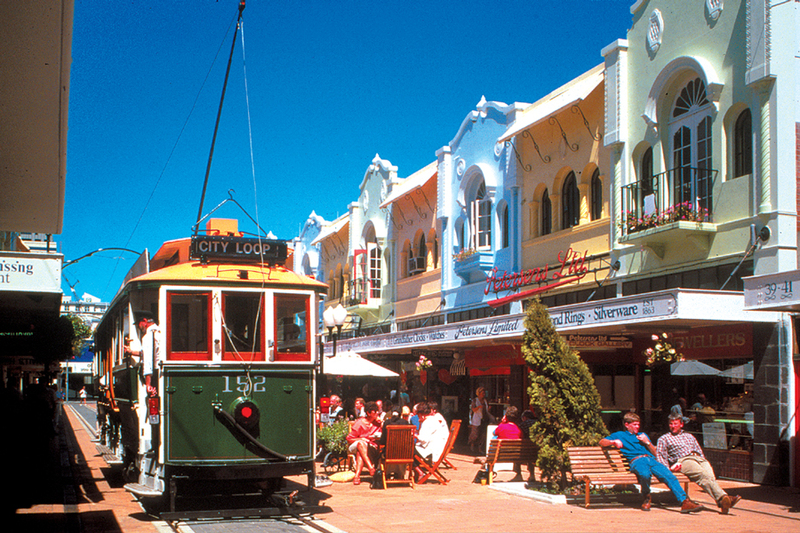 Arrive in Christchurch, New Zealand’s “Garden City,” and make your way to your accommodation. In the afternoon, explore the downtown. Experience the best of Christchurch with the Christchurch Grand Tour! You will be collected from your accommodation in the morning to begin your iconic Christchurch tour. Your fully-guided day tour includes a romantic punting trip down the Avon River; a tour of Christchurch’s famous Botanic Gardens; panoramic views over the city on the Christchurch Gondola; a visit to the quirky, independent seaside township of Sumner; and a ride through the central city on the Christchurch Tramway. 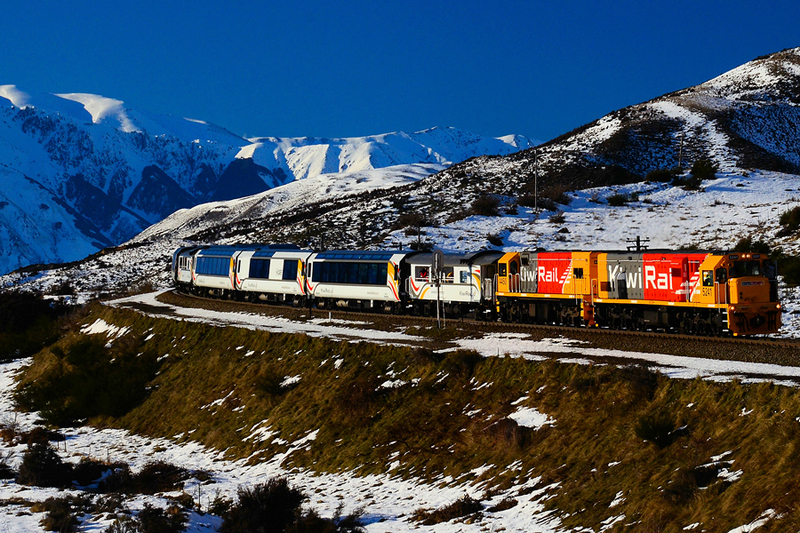 Board the TranzAlpine Train today for an unforgettable alpine journey. Pass through the fields of the Canturbury Plains, a landscape of picturesque farmland, before entering the mountains. 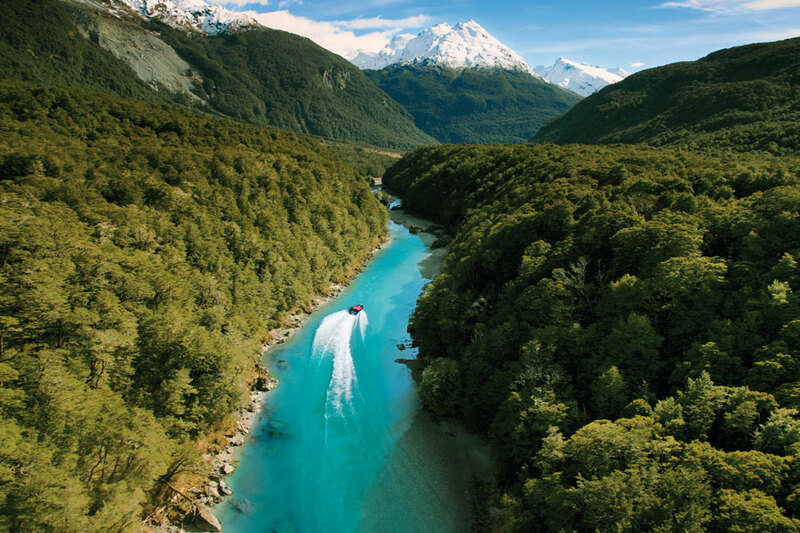 From your carriage you’ll see lush beech rainforest, the spectacular Southern Alps, and the gorges and river valleys of the Waimakariri River. All carriages include both one-way seating and tabled group seating, allowing you to experience the amazing views while enjoying the company of other passengers on-board. An open air viewing carriage allows you to get even closer to the stunning scenery. The trip is 223.8 kilometres long and takes just 4.5 hours. There are 16 tunnels and 5 viaducts, the highest being the ‘Staircase’ standing at 73 metres. When you arrive in Greymouth, your bus connection will take you south to Hokitika, a small town famous for its arts and crafts. The West Coast still has a “Wild West” atmosphere, with fiercely independent locals and vast wilderness surrounding the small settlements. Continue your journey south today as your coach takes you along the West Coast to Franz Josef, home of New Zealand’s most famous glaciers. 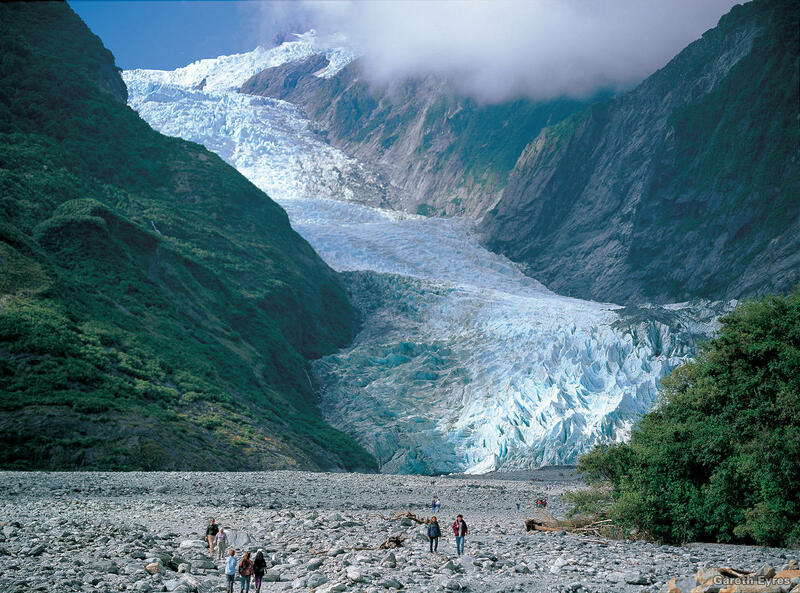 If you like adventure, today you will get a chance to explore the spectacular Franz Josef Glacier on a heli-hike. 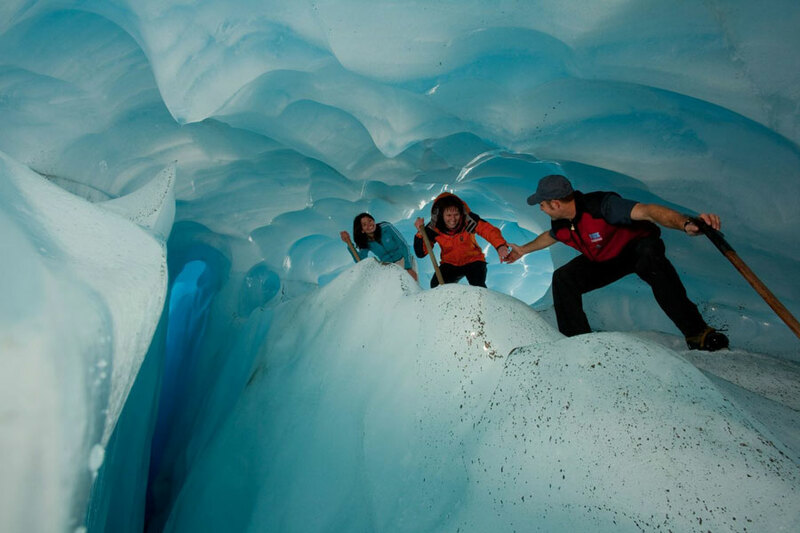 Take a short helicopter ride up to the Pinnacles area of Franz Josef Glacier, where you will explore a world of towering ice formations and shimmering blue caves. Afterwards, soak in the Glacier Hot Pools to warm up after a fantastic day on the ice. If you would rather sit back and enjoy the views, you will experience the best of the Southern Alps on the Grand Tour helicopter flight, which encompasses Franz Josef Glacier, Fox Glacier, and Mt Cook (New Zealand’s highest mountain). Top off the flight with a snow landing! Take a sightseeing day tour from Franz Josef to Queenstown and discover the beauty of Haast Pass Highway. 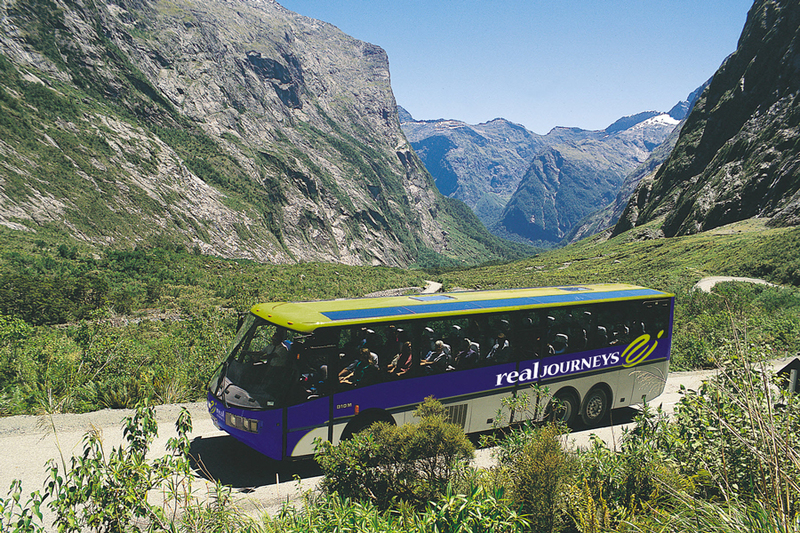 Leaving Franz Josef, travel by luxury coach through the stunning scenery of the South Island. Your driver guide will provide entertaining commentary and point out sites of interest as you pass the ruggedly beautiful West Coast landscape of vast rainforests, gushing waterfalls and snow-capped mountains. After a morning tea break in Makarora on the border of Mount Aspiring World Heritage Park, you’ll travel through the Haast Pass, journeying through native beech forest and over the Southern Alps, before emerging in the Queenstown-Lakes region. 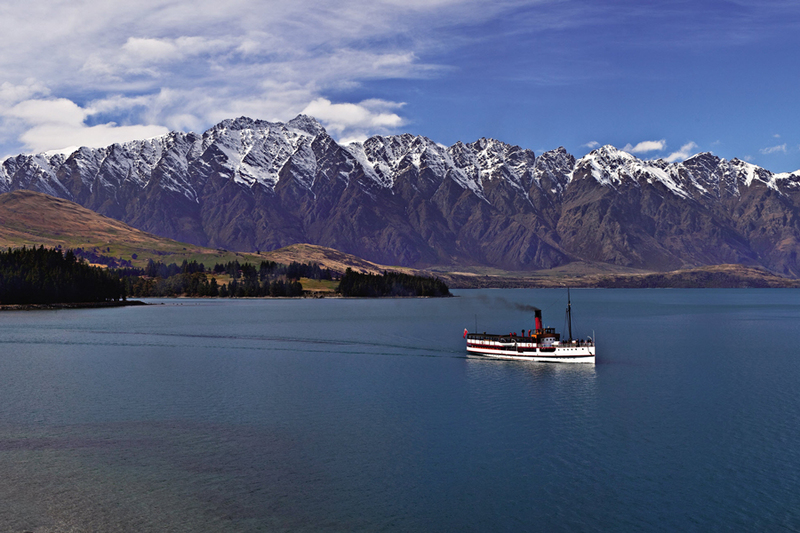 You’ll pass by the crystal clear waters of Lake Hawea, Lake Wanaka, and Lake Dunstan before arriving in Queenstown, the adventure capital of New Zealand. Venture deep into the heart of the world-renowned Mt Aspiring National Park today on the Dart River Jet Wilderness Safari! The sheer diversity of what’s on offer means you experience a unique combination of breathtaking scenery matched with exciting jet boating on braided, glacier fed rivers. Highly informative guides add the personal touch, revealing fascinating stories about the area’s history, the Greenstone trail, and the local Maori legends. Walk amongst ancient beech forest unchanged for 80 million years and view the scenic backgrounds for many Lord of the Rings scenes on your authentic New Zealand experience in an untouched world. 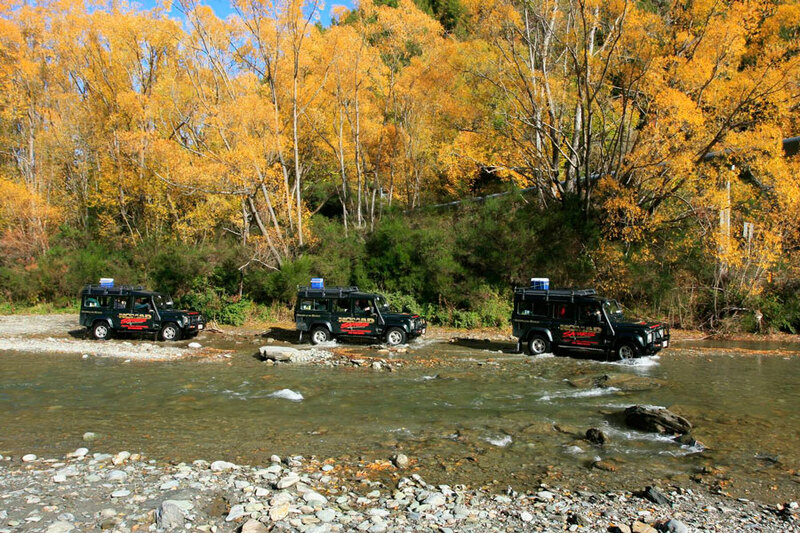 Experience the history and rich heritage of the Queenstown region on your Skippers Canyon 4WD tour. 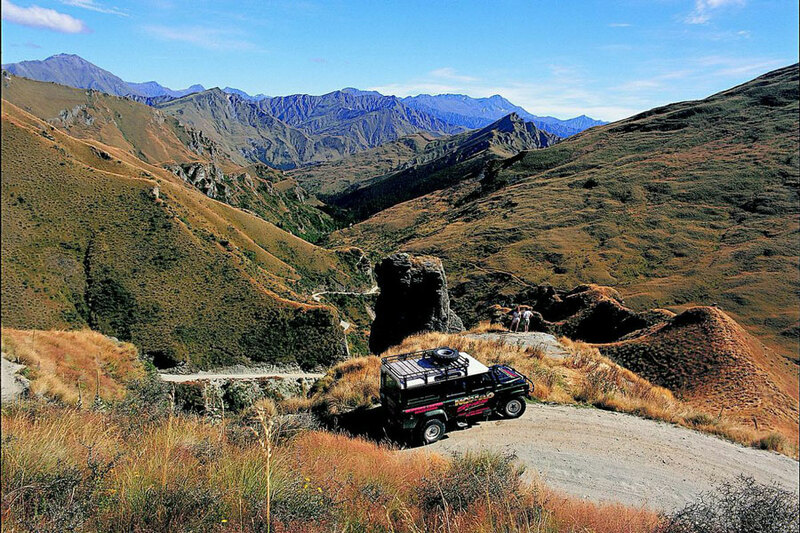 Travel the dramatic road hacked into the sheer cliffs of the Shotover Valley as your guide takes you to a series of historic gems, including the Skippers Suspension Bridge and the township of Skippers. The area is known for its gold mining history – you will have the opportunity to partake in the storied tradition of panning for gold and take home a souvenir of Skippers Canyon. Embark on a scenic coach journey through heartland New Zealand to reach Milford Sound, where you will enjoy a 2.5 hour Milford Sound Nature Cruise. 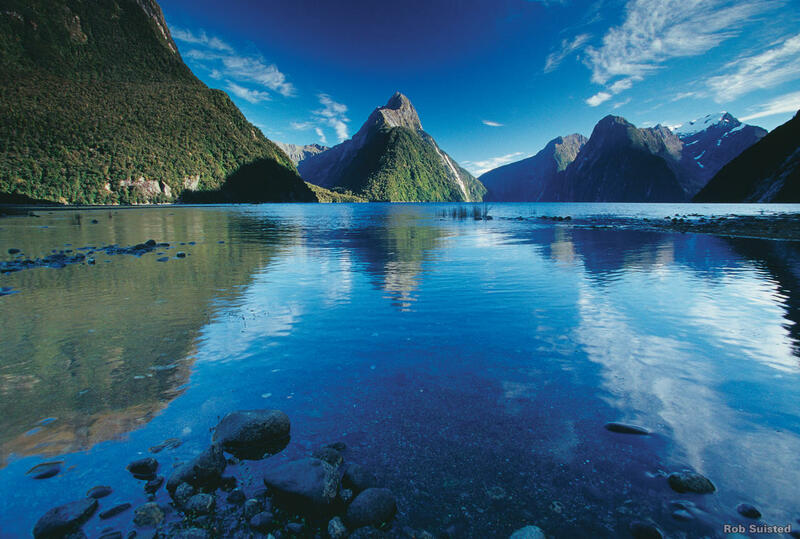 As you cruise through the spectacular fiord, you won’t be able to tear your eyes from the wonders of Milford Sound! 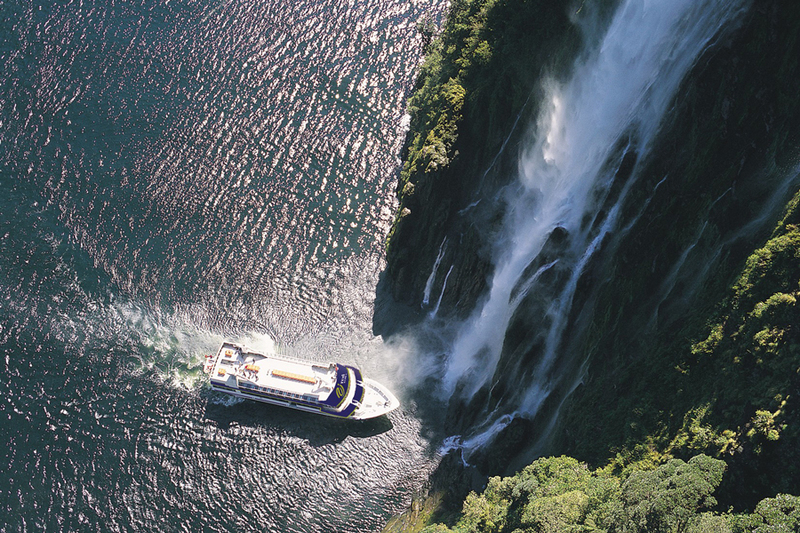 Sheer cliffs, towering snow-capped mountains, cascading waterfalls, hanging valleys, sub-tropical rainforests, marine life… words just don’t do it justice, you have to see it for yourself! After your cruise, relax while your coach returns through stunning scenery before delivering you back to your Queenstown accommodation. Enjoy your last day in paradise! Add on a cruise and high country gourmet meal with the TSS Earnslaw to celebrate the end of a fantastic holiday, take the plunge with a thrilling skydive, taste the flavours of the region on a Central Otago wine tour, or simply relax and soak in the stunning views. 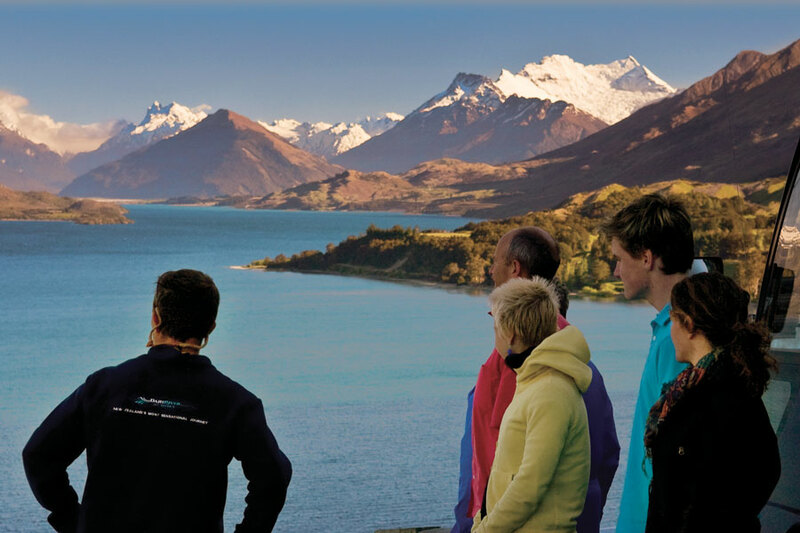 Make your way to Queenstown Airport and depart Queenstown at your leisure.